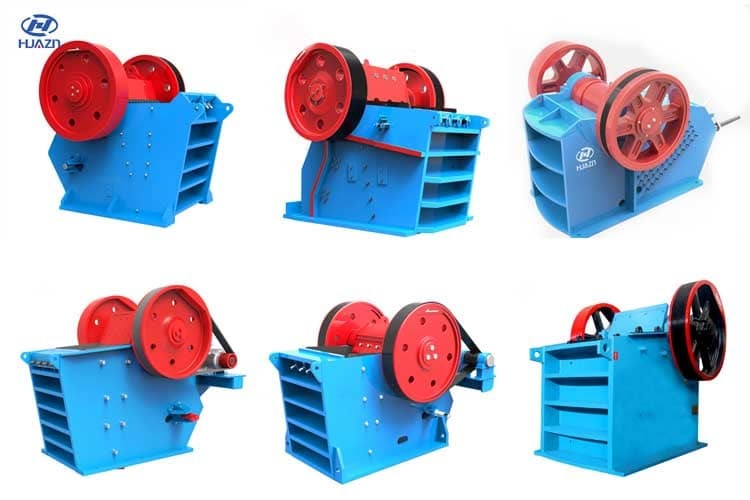 Home > News > Product Knowledge > How to Choose the High Quality Jaw Crusher? The first break of the crushing production line is mainly the use of jaw crusher. The jaw crusher plays a very important role in the production line, mainly due to the coarse breaking of the incoming materials. Dahua Heavy Industries has three different series of jaw crushers, respectively. JC series jaw crusher, C series jaw crusher, ASD series jaw crusher, these three products have been used throughout the country, the crushing efficiency is large, the customer feedback effect is very good, in recent years, the crusher has Hundreds of companies, the competition is also very fierce, then how to choose the assured manufacturers when choosing the jaw crusher, this time for everyone to choose the jaw crusher to provide several suggestions. Dahua Heavy Industries manufactures jaw crusher when selecting materials with high hardness and wear-resistant high manganese steel. High manganese steel looks thick and has a smooth surface. When crushing materials, the strength is high and the wear time is long. Dahua Heavy Industry Co., Ltd. When choosing materials, we also choose high-quality manufacturers, and choose high-quality materials in the case of better price. This is also the reason why the quality of Dahua Heavy Industry Jaw Crusher is excellent. The configured motor must match the power of the jaw crusher. 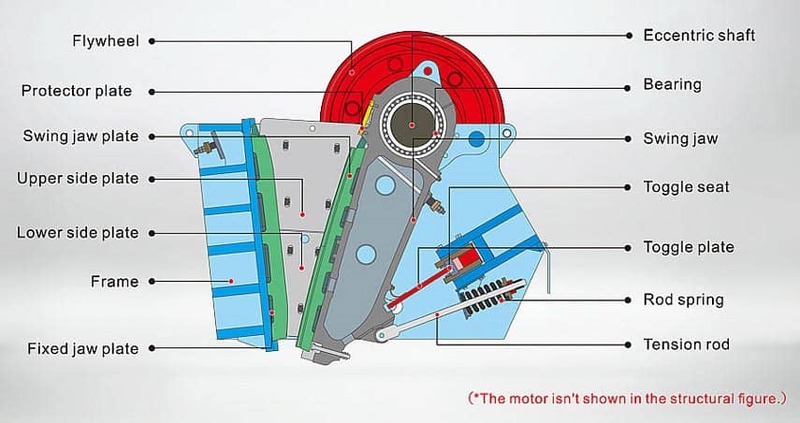 Do not pull the cart by the Mavericks, otherwise the output will not be reached, and it will easily lead to equipment failure and burn the motor. Our company will choose to cooperate with the well-known brand of motor, to ensure that we want to match our jaw crusher. The weight is also the standard for the benchmark jaw crusher, as the weight of each jaw crusher model is specified. If the device is not good, such as counterfeiting, then many technical parameters such as its weight cannot fully meet the requirements, which is a very convenient and intuitive method to test the quality of the device. Luoyang Dahua Heavy Industry has always stressed the importance of after-sales service, not only for customers, but also for manufacturers. Good products are not afraid of maintenance, warranty, insurance, etc. The general manufacturers are very familiar with the quality of the jaw crushers they produce. They will make an after-sales plan based on this situation. Dahua equipment is doing very well in terms of after-sales. We emphasize the whole process of tracking services before, during and after sales. The link, as a good customer's staff and assistants, allows customers to feel at ease, satisfaction, and comfort, improve the overall value of customers, so that customers have no worries. Dahua Heavy Industry Crusher has a history of 60 years in the industry. The equipment has been popularized all over the country. The company mainly produces crushing, screening and washing equipment. We have different supporting solutions for different industries. We choose Dahua Heavy Industry Co., Ltd. broken equipment is half the battle. Dahua Heavy Industry attaches great importance to cooperation with every customer. Our staff from the crusher site survey to equipment selection, to installation and commissioning, to the final production acceptance, Luoyang Dahua Heavy Industry provides the overall solution, and dispatched technical team to train the relevant operators to help customers in the short term Maximize value as quickly as possible.